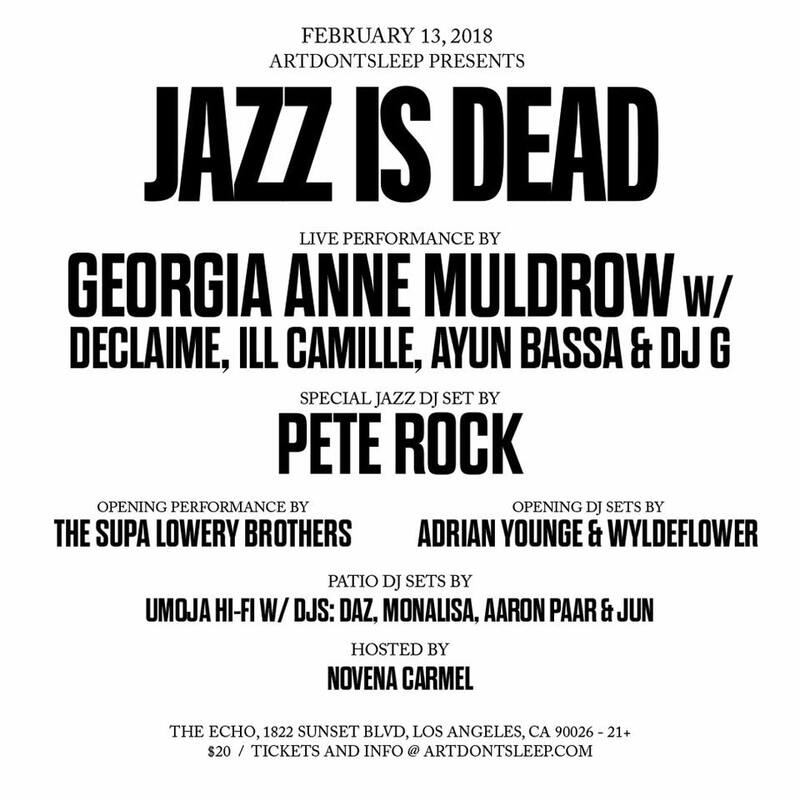 The good people at Art Don’t Sleep are cooking up TWO crazy shows on Tuesday, February 13th. They are taking over both the The Echo and the Echoplex. 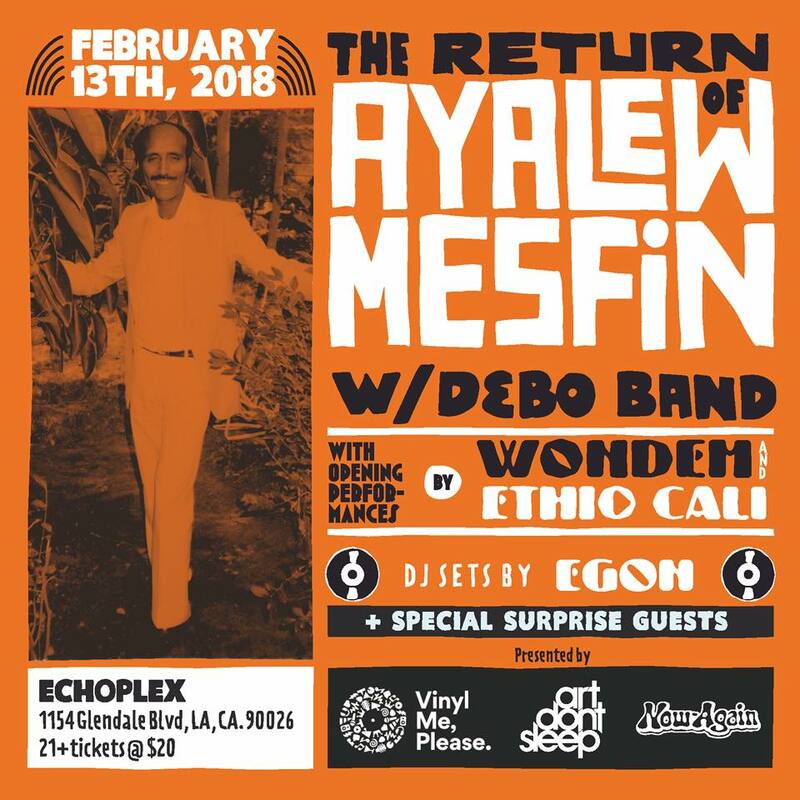 Upstairs is #jazzisdead and downstairs is the return of the 70s Ethiopian funk god, Ayalew Mesfin! If you purchase entry into one of the events, you will be granted entry into both events. This is a very special one time happening and only going down in Los Angeles.